OK, enough of the Star Wars references for now, because there’s nothing to be made light of in terms of what the Yankees and Marlins did with the tacit approval of Major League Baseball’s hierarchy. In a nutshell, the franchise with more World Series titles than any other, the team that came within a game of getting back to another Fall Classic this year, the club that has shown no historic interest in restraining their spending for players, got richer at the direct expense of one of baseball’s poorest teams while sticking a thumb in the eyes of the rest of the sport. The Yankees, one of only two teams to spend more than $200 million on player salaries in 2017 in a sport without a salary cap, picked up the tab on Stanton, who hit 59 home runs to lead baseball last year and will earn nearly $300 million over the next 10 years. 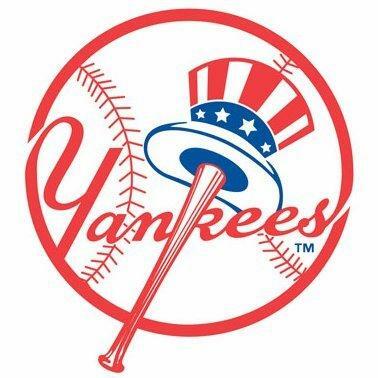 All New York had to give up to get Stanton was second baseman Starlin Castro and two minor league prospects, which is chump change for the Yankees. To make matters worse, the guy who made the deal for the Marlins, incoming Miami CEO Derek Jeter, is a Yankee icon, having led the franchise to its recent run of postseason success, save for last season. This deal may very well ensure a new run of Yankee dominance, making some wonder if Jeter would really rather be running the Bronx Bombers than the Florida fish. This is just par for the course for the Yankees, who have historically pilfered poorer franchises. In the 1940s and 50s, New York regularly picked the pockets of the Athletics franchise in Philadelphia and Kansas City. Orioles fans with long memories will recall that Reggie Jackson’s storied career made a one-year pit-stop in Baltimore in 1976. Jackson bolted Charm City for the Yankees and a five-year $3 million free agent deal the next year. And before you smug, self-indulgent Yankee fans cry foul or accuse fans of other teams of a case of sour grapes, imagine your reaction if the Red Sox had pulled off such a heist. You’d be indignant and rightfully so. The difference is that the Yankees and the Red Sox, for that matter, would have the financial wherewithal to stay competitive. The Orioles don’t, and their brain trust will have to figure a way to use something more potent than a lightsaber to turn the force their way.